Medical memoirs are suddenly all the rage. It’s a wonder anyone in Britain manages to see a doctor nowadays. As far as we can tell, most of the nation’s medical professionals are holed up in their studies typing away. Scribblings by surgeons, diaries by doctors, notebooks by nurses, essays by endocrinologists, novels by neurologists — the presses groan under the strain of medical literature. If you’re feeling overwhelmed, we’ve selected a few of the best recent books by doctors, nurses, surgeons and patients. Rachel Clarke helped to organise the protest against Jeremy Hunt’s introduction of new contracts for junior doctors. 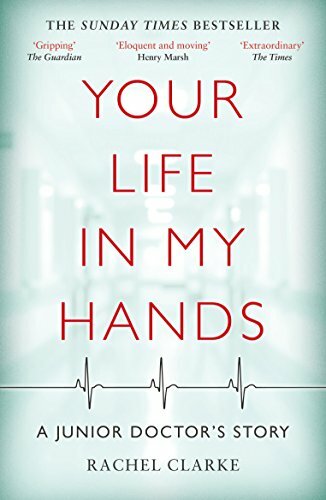 This memoir records her anger and frustration at a system that has led to an exodus of young doctors.